Exciting images of Pluto’s largest moon — or co-dwarf planet — Charon were also captured. 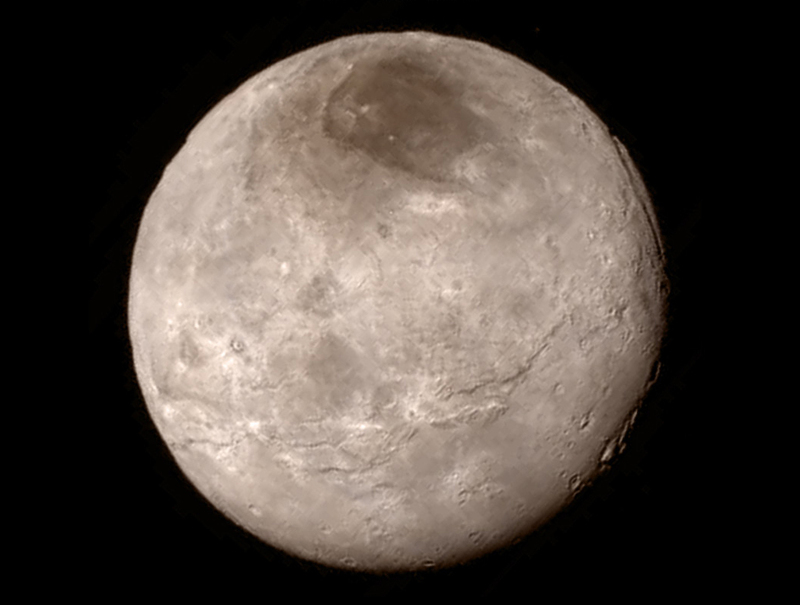 Remarkable new details of Pluto’s largest moon Charon are revealed in this image from New Horizons’ Long Range Reconnaissance Imager (LORRI), taken late on July 13, 2015 from a distance of 289,000 miles. A swath of cliffs and troughs stretches about 600 miles (1,000 kilometers) from left to right, suggesting widespread fracturing of Charon’s crust, likely a result of internal processes. At upper right, along the moon’s curving edge, is a canyon estimated to be four to six miles (seven to nine kilometers) deep. 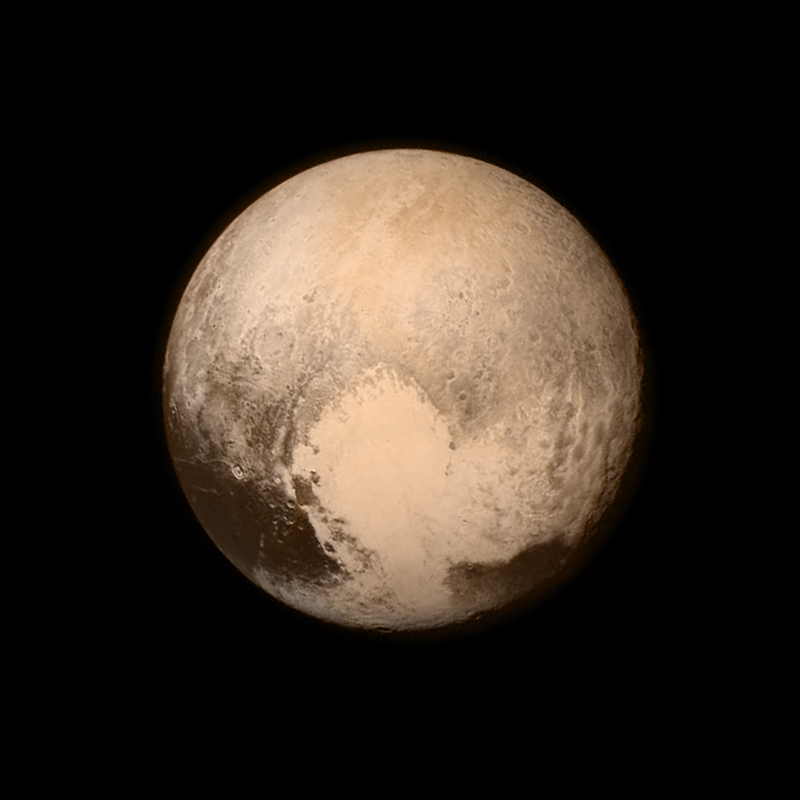 New Horizons traveled more than three billion miles over nine-and-a-half years to reach the Pluto system. 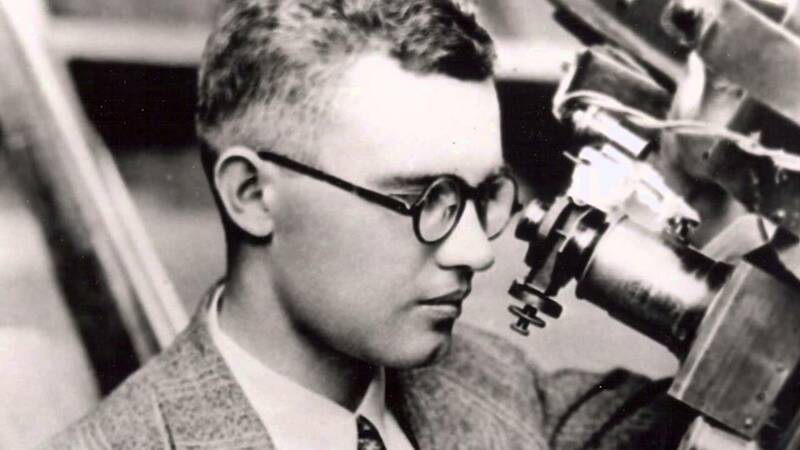 This entry was posted in Uncategorized and tagged astronomy, Clyde Tombaugh, NASA, New Horizons, photograph, pluto. Bookmark the permalink.